I learned how to make cucumber salad recipes when I was little. I have always loved any recipe made from cucumbers like dill pickles, sweet pickle salad or any other type. Although scientifically considered a fruit, I would patiently wait for Dad to pick the first cucumbers from his vegetable garden for us to eat. They were so good fresh from the garden all we needed was a little salt to go with it. There are three basic types of cucumbers; ones for slicing, for pickling and the burpless. Dad never grew the burpless variety; I believe it is one developed more recently and not available at the time when Dad raised a garden. The burpless variety was developed because so many people who like cucumbers complained of them causing digestive problems. When you learn how to make cucumber salads, you can use all three of these cucumbers. In my later years, I have purchased the burpless type. These are the ones totally wrapped in plastic wrap; I have bought them at Sam’s only because that is all they offer. These are my least favorite and they go bad very quickly. If you purchase the large slicing cucumbers in the produce section, they are pretty and shiny because they are waxed. The smaller pickling ones never have wax on them so if I have a choice I will choose the smaller ones. The pickling ones also have a crunchier texture which I like for my cucumber salad recipes. They remain crisp longer under the dressing. Speaking of dressings, some cucumber salad recipes are good served plain with salt, pepper and vinegar on the side. They can also be covered with dressing made with a cream base or a vinegar base. The first recipe is my favorite vinegar base salad and is very simple to make. 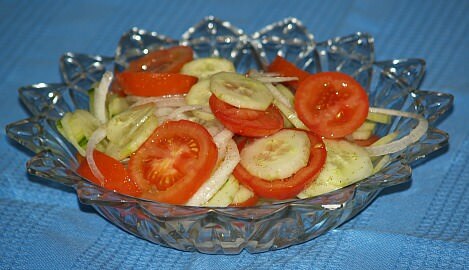 Combine the cucumbers, onion slices and tomatoes in a large bowl. Mix together sugar, vinegar and celery seed. Pour this mixture over the sliced vegetables. Add salt and pepper to taste. The next cucumber salad is made with a cream base. 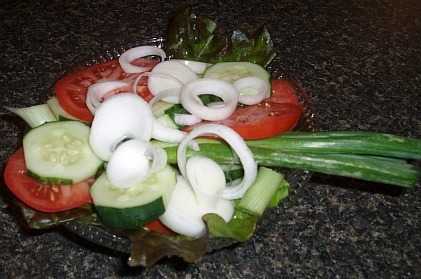 It seems that cucumbers go well with onions and all my cucumber salads have onions in them. 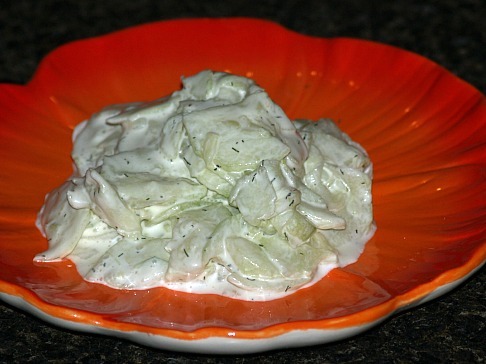 Combine the cucumbers and onions in a bowl. In another bowl combine and blend the yogurt, mustard, vinegar, salt, pepper and celery seeds. Blend yogurt mixture in to the cucumbers and onion. Cover and refrigerate for a couple of hours before serving. The following recipe can be a cucumber recipe or stored as refrigerator pickles. Combine cucumbers, green peppers, onions and salt with lots of ice cubes (2 or 3 trays); let stand 2 hours and drain. Mix sugar, vinegar and celery seed and combine with cucumber mixture. 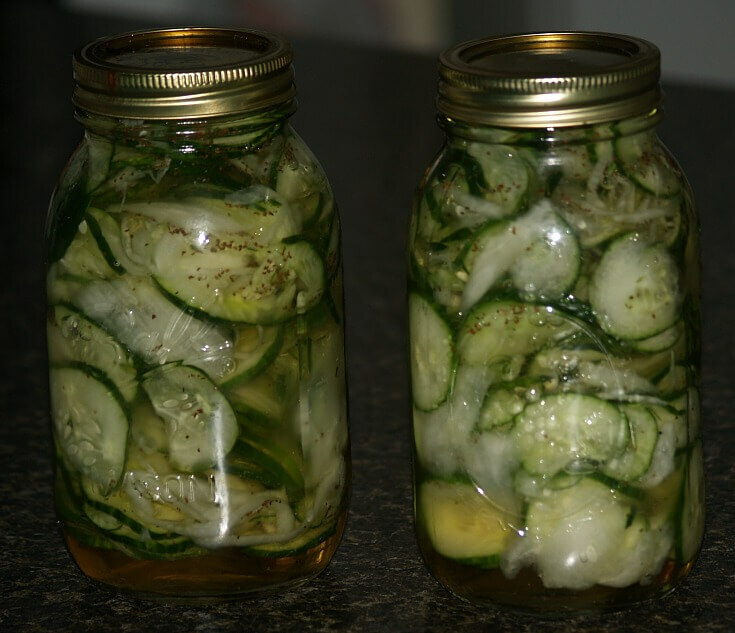 Eat as a cucumber salad or can be stored in covered jars in the refrigerator; will keep for up to 1 year. If storing, stir once a month. NOTE: If you have extra cucumbers, extend the use by making this recipe to prevent them from going bad. 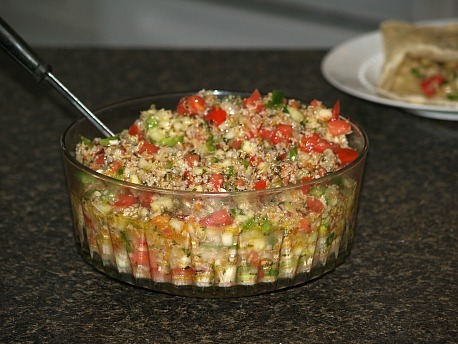 This is a delicious cucumber salad recipe; it makes a large bowl so you might want to cut the recipe in half. Wash wheat under cold water until it runs clean; place in bowl. Cover wheat with boiling water and let soak for 1 to 2 hours; rinse and drain squeezing out excess water. Add cucumber, tomatoes, peppers, parsley, mint, garlic and onion. 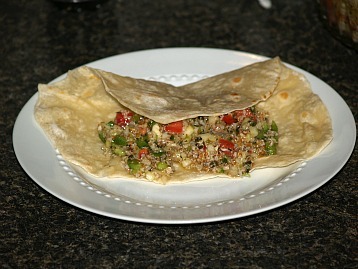 Combine and thoroughly mix oil, lemon juice and salt; pour over wheat and vegetables; toss to coat ingredients. Peel cucumbers and cut in half lengthwise; scoop seeds out with spoon. Slice the cucumber halves thinly into bowl. Mix together the cider, parsley, sugar, salt and pepper. Pour cider mixture over the cucumbers; cover and chill 1 hour. Peel orange and remove seeds; cut flesh into pieces in a large mixing bowl. Peel melon and remove seeds; cut flesh into thin slices. Combine the orange, melon, cucumber and grapes; chill 20 minutes. TO MAKE DRESSING beat together sour cream, sugar and lemon juice in bowl. Blend in the chopped mint, poppy seeds, salt and pepper. 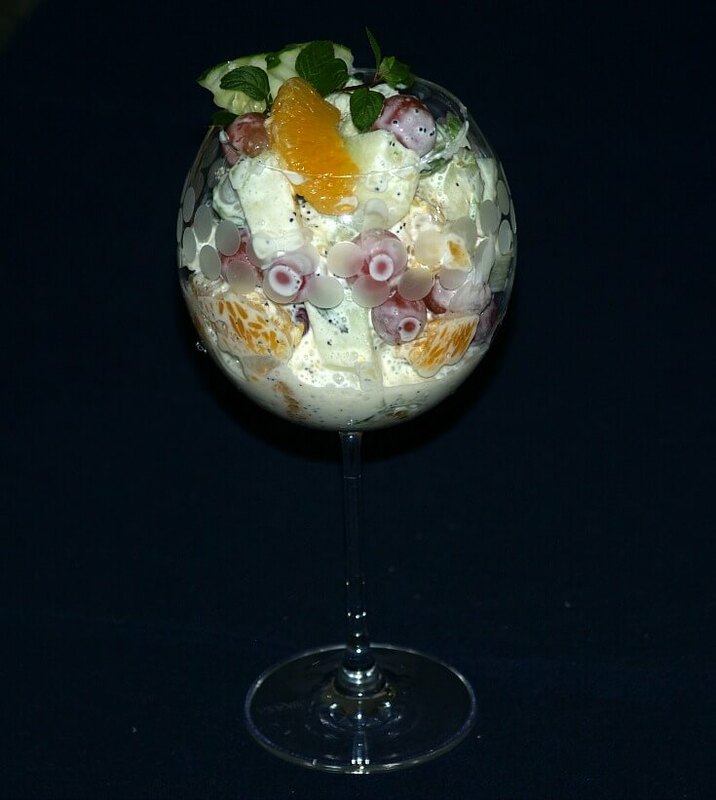 TO SERVE divide salad between two serving glasses. Spoon a little dressing over the top; garnish with mint sprigs. Combine cucumbers, salt and vinegar; marinate 20 minutes in refrigerator. In another bowl mix heavy cream, coconut milk, sugar and sesame oil. Beat mixture until medium consistency. Drain the cucumbers well; add the dressing and chives to cucumbers. TO SERVE divide salad among 4 lettuce lines plates. Garnish tops with parsley, radishes and sesame seeds. In large salad bowl combine tomato, feta, cucumber and onion. In small bowl combine oil, vinegar, oregano, parsley, salt and pepper. Pour the oil mixture over the tomato mixture; toss gently. Mound salad on serving platter; scatter anchovies and olives all around salad. Combine in a saucepan the mustard, salt, vinegar and sugar. Over medium bring mixture to a boil; pour over beets. Cool beat mixture; combine beat mixture with cucumber and onion. Spoon mixture into a glass jar; cover tightly with lid. Refrigerate jar for 4 hours shaking occasionally until cucumbers are tinted.